The ever-expanding network of the companies of the Kelly S. King Academy are here to serve your every painting need! In our complete list of services, you can find exactly the kind of service you need. We cover all painting needs – preparation for priming, priming, drywall repair, paint refreshing, , new paint décor, etc. – we do it all! 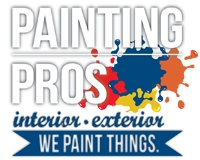 Painting Pros will take care of your cabinets, furniture and all refinishing painting needs. Omaha Painting Professionals is our interior and exterior painting division. Kitchens ReDefined is the latest addition to the corporate team of the Kelly S King Academy, and will service all kitchen and bath re-design and remodeling projects. The Kelly S. King Academy is also a school where decorative painting and faux finishing techniques are taught to other professionals and students. CHOOSING PAINTING PROS MEANS YOU WANT THE BEST! With Painting Pros’ expertise, superb crews and dedicated service, it’s an easy decision to choose Painting Pros first! Guaranteed quality work on all jobs! In-house workmanship – saving you costs! Professional managers with a 15 year minimum of experience! Continuous contact – working with our respected customers from start to finish! Detailed, understandable proposals – you know EXACTLY what you are getting!